THE ROAD THROUGH Sindhupalchok is now clear of rubble, but only just. It takes careful navigation to get past the sections ravaged by recent landslides, where, weakened by the earthquake and exposed to the near-daily onslaught of the ongoing monsoon, the mountain face along the 144-km Araniko highway from Kathmandu to the border town of Kodari continues to pose a constant danger. Yet one cannot but admire the beauty of the Panchkal valley as it unfolds. The highway, weary with traffic when we left Kathmandu, had melted into stunning scenery—rolling hills and red-rocked mountains decorated with lush greenery spread out before me in waves, alongside tributaries of the river Indrawati. It was like something out of a picture book, an everyday natural beauty, raw and rugged, that you don’t get to see often. Much of the international media’s post-earthquake reporting was focused on the capital and on Everest, places best known and most regularly frequented by foreign visitors. They suffered hugely, and while there was widespread devastation to both lives and property in the two places, the concentration of destruction was little compared to elsewhere in the country. 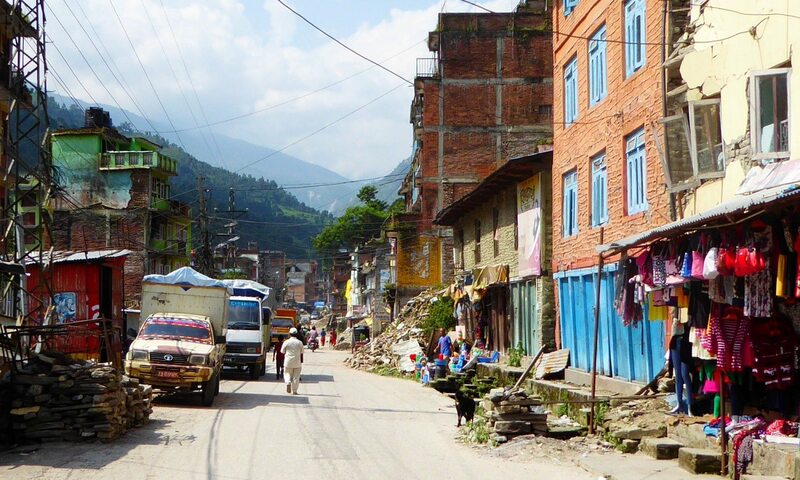 Sindhupalchok is the worst-affected district. Of the estimated 8,702 earthquake deaths across Nepal, 3,440 were in Sindhupalchok, the highest number in any district. This is nearly three times more than in Kathmandu, which—with a death toll of 1,222—bore the second biggest brunt of the disaster. The number acquires more significance when you factor in that while Kathmandu has a population of around 1 million, Sindhupalchok has roughly 300,000. In other words, this rural district lost more than 1 per cent of its population in the quake. Along with this, an estimated 90 per cent of houses were damaged or destroyed. The scale of this disaster became more visible once we travelled some 50 km from Kathmandu. Our destination was Bahrabise, one of the worst-hit places in the district, some 22 km before the Tibetan border. As our sturdy Scorpio crossed the Indrawati, I could see a spate of damaged buildings along the way. Much of the route was still stained with the orange-red dust of previously cleared landslides, with the occasional outcropping of mud and rocks jutting out ominously on to the pot-holed road. As we approached Lamosanghu, small shops began to spring up by the roadside. All around lay huge piles of debris. Houses, some with whole sides damaged beyond repair, stood by. The road was blocked by a large digger, tipping smashed masonry into a truck and villagers worked to clear debris in the pounding midday sun. Dust from the rubble hung heavily in the air. There were people washing themselves from a hose pipe, scrubbing their clothes against rocks in the gutter. To see the storeys-high piles of bricks, cement and twisted metal, it was difficult to believe that work had gone on for a long time. It looked like the earthquake occurred yesterday, not four months ago. It is understood in these parts that it probably won’t be long before the next devastating act of nature occurs. And you could see the reason behind that sentiment in the landscape: as we left Lamosanghu and continued along the highway to Bahrabise, the main road suddenly became rough terrain, uneven and curving through large piles of large, white rocks. To our right ran the Sunkoski River, which flows from Tibet. In the mud banks to its left, only slightly higher than river level, stood a house. But only the top floor was visible, the lower floor—or floors—were now metres below the mud. Next to it stood a lone electricity pylon. I initially thought that this too had been a product of the earthquake, but I was wrong. It had happened last August, when the side of the mountain towering over us broke free and deposited 5.5 million cubic metres of rock and earth across the road and into the river, cutting off more than 5 km of the highway, and, for a time, the river itself. The landslide caused 156 deaths and the amassed water created a large lake, and caused floods as far away as northern India. It took more than a month for the army to clear the blocked river. 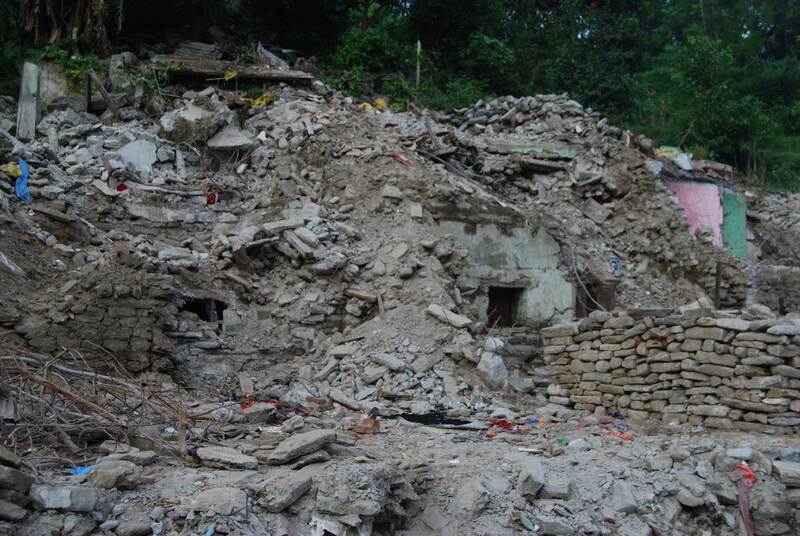 Nature had not been kind to the people of Sindhupalchok, even before the earthquake. BAHRABISE was in a similar state as Lamosanghu. Shops were open. There were places you could grab a bite to eat. But this was against the backdrop of piles of rubble, which still blocked many entrances. Most buildings bore the scars of the earthquake. Several had bricks protruding from damaged fronts, while others had partially collapsed under their own weight and stayed propped up precariously by wooden supports. Villagers were clearing rubble, fitting gates to driveways, and standing on top of dangerous half-demolished buildings, knocking away brickwork into the street below by hand. As I watched, a large bus arrived, and people disembarked carrying large bags of rice and other essentials. The vital highway—the only route through the area to Tibet, some 20 km north—was now clear, but for a long time it hadn’t been. Villagers described how, after the earthquake, the road was lost to sight entirely; how clearing it had been a priority, for the blockade had cut off the area from the rest of the country. Many of the villagers still lived in temporary shelters. Through the gaps between the buildings and the foliage behind, I could make out a hill dotted with multicoloured tents. We walked towards it, crossing a pile of rubble, then up a steep pathway, till a field opened up. There were dozens of tents there. Dogs and goats trotted around freely by the camp. In the background stood steep, majestic green hills. But there was also a sense among the inhabitants that they had to be proactive if they were to get by. Their shops and businesses had collapsed, along with their housing. The small businesses growing out of the camp were their attempt to address that. As the villagers worked stoically with whatever tools they had to clear rubble and rebuild, the sheer scale of the task ahead seemed more than daunting. Without houses, hospitals, schools and other vital instruments of a civil society, there was a level of despair in their bravery. And with a cold winter coming, as well as the ever-present danger of landslides, not to mention earthquakes, there is every possibility that without adequate attention, the situation in Sindhupalchok could get worse still. The sun was still hot when we left Bahrabise. People were clearing debris, carrying away sacks filled with rubble on their backs. Our return ride to Kathmandu was long, and we sat for much of the time in silence. As the sun set against a purple sky over the green hills, I could see mounds of rubble punctuating the view around us. The mounds were once houses. Each had a story, each had inhabitants. Many of the inhabitants will now be living in shelters. Many others will never see a sunset again. 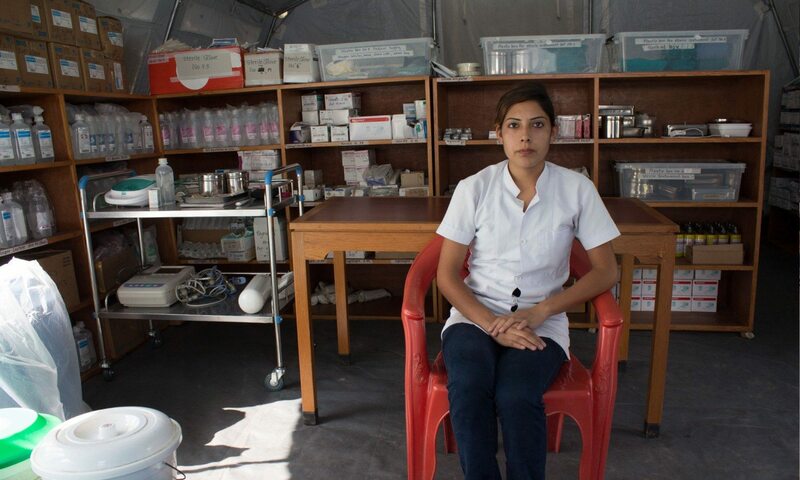 Additional reporting: Enika Rai, Unnat Sapkota, Preeti Karna, Ashma Gautam and Bidhur Dhakal.